Now this guy’s special. He’s just a big wide dude! 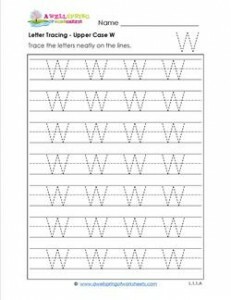 I could only fit four across each line of this letter tracing page instead of the usual 5. I don’t think the kids will mind!